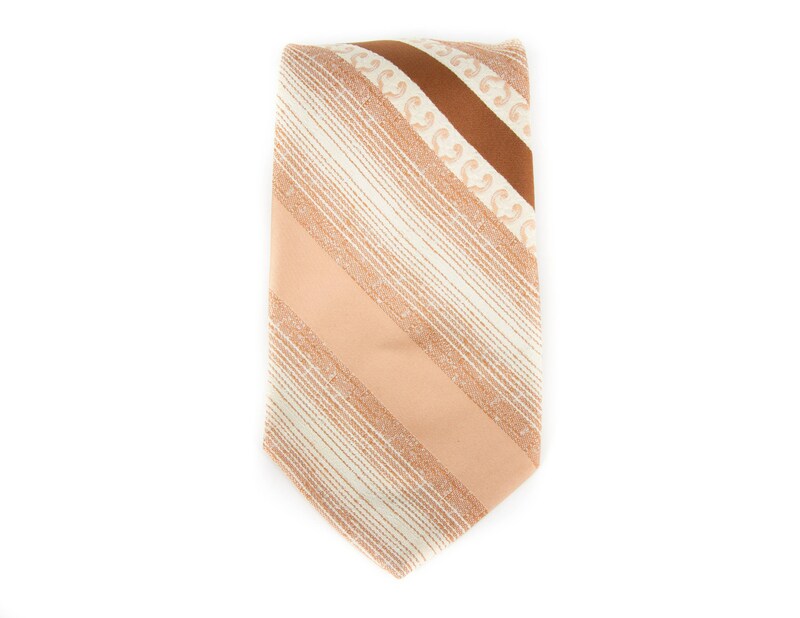 This is a vintage, "Designer Collection" polyester necktie by Regal! The beige and brown tie measures roughly 4" wide at the bottom. Contact us with any questions!